Dan Green’s October 20th article suggesting there are 5 types of homeowners who should refinance ASAP is trending on social media. Dan regularly appears on news channels regarding home mortgages, and with his article trending, this hot topic is something that alerts us to what is occurring in the overall U.S. mortgage market. 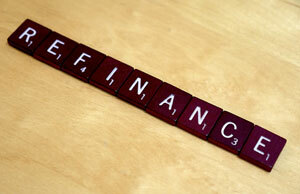 See if you fit into one of the categories of homeowners Dan suggests should refinance ASAP. If so, there may be an opportunity for you to save money every month on your mortgage by refinancing. Over 4 million U.S. homeowners have mortgages with rates higher than five percent, and millions more who have rates between 4.50% and 5.00 percent. Now that rates have dropped again, these people could benefit from refinancing their homes. Now that mortgage rates have dropped, homeowners with alternate forms of mortgage insurance, such as lender-paid mortgage insurance (LPMI), may be able to refinance to lower rates and shed the mortgage insurance is built-in to their payment. If you are paying mortgage insurance, it’s a good time to investigate whether you could refinance and get into a mortgage without the extra cost of insurance. If you have an FHA mortgage, you may be able eligible for FHA Streamline Refinance and/or FHA Cash-Out Refinance. Since interest rates have dropped, it may be easier for homeowners to qualify. Additionally, with home values rising, many FHA-backed homeowners are now eligible to cancel FHA MIP (Mortgage Insurance Premium) by refinancing. Falling mortgage rates are also giving VA-backed homeowners an opportunity to refinance. “With current VA mortgage rates in the mid- to low-three percents, the majority of U.S. homeowners with an existing VA-backed mortgage now meet the program’s ‘net tangible benefit’ requirement,” Green reports. For more information, see VA Interest Rate Reduction Refinance Loan (IRRRL). More than lower mortgage rates, loan requirements have also loosened. “Nearly 25% of banks report that lending standards for prime mortgage borrowers are ‘looser’; and, Ellie Mae statistics show that, for closed loans this year, average FICO scores are lower and average LTVs are higher,” Green reports. If you’ve been turned down for a mortgage, this could be a great time to again investigate refinancing your home.